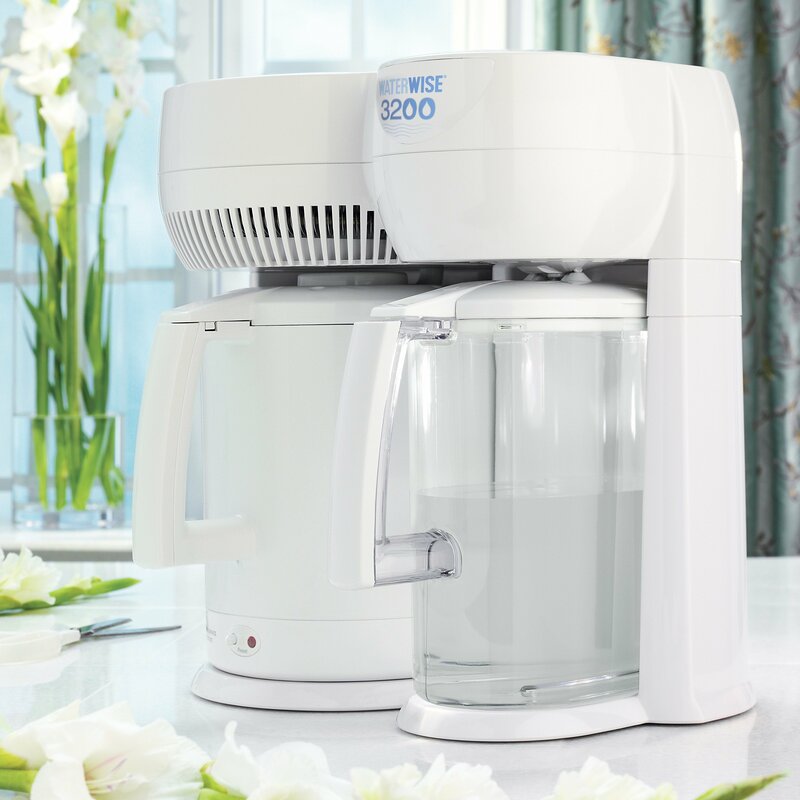 The Waterwise 3200 eliminates concerns about your drinking water safety. Simply fill the stainless steel boiler with tap water, press the reset button, and soon you’ll enjoy pure water anytime, anywhere. The 3200 will produce any amount up to 1 gallon per cycle. If less than a gallon is needed, simply fill kettle with the desired amount. The distiller will automatically shut off when no water remains in the kettle. Studies indicate drinking 8 glasses of pure water a day bolsters heart health for both women and men. Consider this fact—your heart is 79% water. The typical person has a body composite of 70% water, and maintaining adequate levels of hydration is essential for the efficient regulation of all physiological functions. 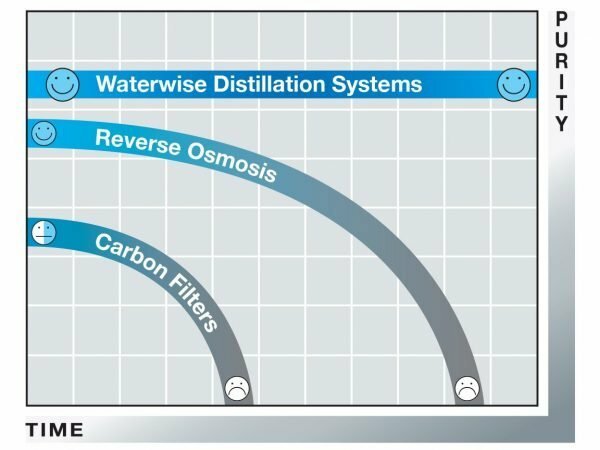 Simple carbon filters and reverse osmosis fail over time. They can actually become breeding ground for bacteria as the trapped organic material begins to decompose. Unlike these inconsistent methods, distillation separates the contaminants from the water you consume, and guarantees consistent purity, gallon after gallon, year in and year out. Drinking bottled water is convenient, but there’s no guarantee that it’s any cleaner than what comes out of the tap. In fact, 40% of bottled water starts out as municipal tap water. With a quality Waterwise distiller, you can realize substantial savings while eliminating the drudgery of lifting and hauling heavy containers.